A dog has no use for fancy cars, big homes, or designer clothes. A water logged stick will do just fine. A dog doesn’t care if you’re rich or poor, clever or dull, smart or dumb. Give him your heart and he’ll give you his. How many people can you say that about? How many people can make you feel rare and pure and special? How many people can make you feel extraordinary? Do you want to have a happy, outgoing German Shepherd that everyone loves? 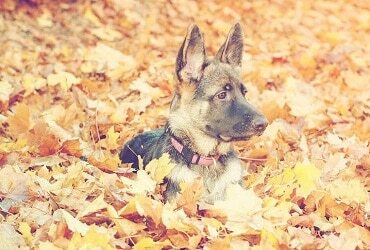 Read this guide about German Shepherd training – and that will happen! Getting a happy, outgoing German Shepherd is easy to achieve. It only requires a bit of work and a basic understanding about German Shepherd training and dogs in general. Read this guide for FREE Now! Getting a happy, outgoing dog is easy to achieve. It only requires a bit of work and a basic understanding about dog training. Dogs are living, thinking beings with minds that can be programmed to fit your life. 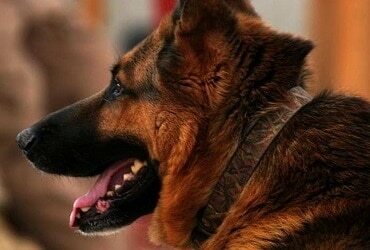 Think you know everything there is to know about the German Shepherd? Here are 24 German Shepherd facts you probably didn’t know. People often ask me at what age they should start German Shepherd puppy training.